The Bizness Training Centre (BTC) has partnered with Polaris a company which organises trans-national work exchanges. We are experienced at arranging UK work placements for students of finance and accounting. We deliver the work based employability programmes as well as professional accounting courses. The training plus the work placements help each student to be much more marketable and valuable to any potential employer. We have seen a number of successes over the years. This new partnership has added a European dimension through the Accountancy Programme. Over 400 European trainees come to the UK every year – with the same number of British trainees travelling to Europe through this programme. 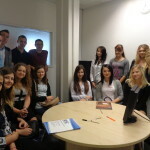 UK employers tend to find it useful to provide placements for students from different countries and cultures as this helps to shape the current employees views as to new ideas and ways of working – as well as offering the students a chance to exchange skills and become more competent in speaking English and working in a UK business. The students are of an excellent standard. They go through a rigorous screening and selection process and only the best students are successful. They are extremely helpful, pleasant to work with, and motivated by a genuine interest in their subject area. 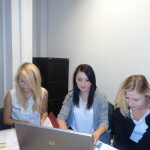 Each work placement is funded by the Accountancy Programme, so employers don’t pay salaries to the temporary trainees. Trainees are typically students or graduates from the EU states. Naturally they all have individual talents, but anyone placed with you will have the language skills, knowledge and experience needed for your particular post. Our specialist area is Administration, Finance and Accounting. Trainees face stiff competition for space on the programme, so only the highest calibre applicants get beyond the selection process. Every trainee is vetted in thier home country by our partner organisation. They then go through a second interview with BCC Ltd when they arrive in the UK before their placement begins. To attend this programme students must possess A Levels in any subject and should be coming to the UK to learn about Bookkeeping or Accounting, and further to their studying at Bizness Training Centre, they will receive one weeks work experience. · We are keen to provide quality Lifelong Learning experiences to students young and old the value for such individuals is immeasurable both to themselves and to the organisations they go on to work for. · We are professional accountants who have an interest in developing careers of future accountants. · We are dedicated to ensuring all our partners needs are met through continuous consultations and reviews.